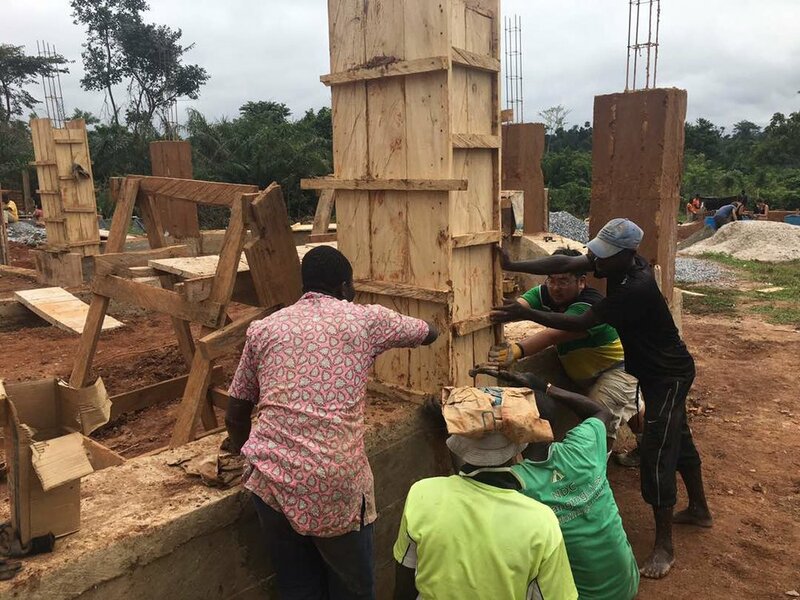 Earlier this Fall, LCDG’s Designer, Derik Tom (or Jack, as the locals would call him) volunteered with ARCHITEACH to build a classroom in the Abetenim Arts Village, Ashanti, Ghana. Derik had firsthand experience working with locals in traditional vernacular building techniques. The main challenge was to be as resourceful as possible, while applying modern design concepts to traditional practices. Resources such as wood, metals, and even tools were hard to come by, especially in a village 24 miles away from a major city, many times re-purposing building materials as often as needed. In the afternoons, after labor intensive mornings, the team would have the opportunity to interact with the locals, play soccer, or explore the neighboring market places. Derik got to experience how vibrant and welcoming the communities of Ghana are.